Congratulations to commenter: kamewh for being the winner for of our first give-a-way. Please email me your contact information and we will get you your prize! 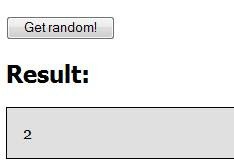 We picked a winner with the random number picker and as the 2nd commenter, you won! Thanks to all for participating and look forward to more give-a-ways in the near future. Many thanks to Beau Coup for being so generous to our readers.